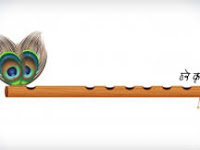 JANMASHTAMI SPECIAL Food Festival at the Govinda's Iskcon Temple Complex, East of Kailash from 24th August to 26th August Price:- Rupees: 940 (for two). Lunch Timings 12.30pm-3.30pm, Dinner Timings 7.00pm-10pm. Contact: 011-26280069, 9818914582.
comprises special dishes from Braj such as Gokul paneer, rasgulle ki sabzi, dal ki pakori, gul gulle and many more. From a restaurant to a museum in the making, a library and a special animatronics show, ISKCON has it all. While looking around if you get hunger pangs, you need not go further than the completely vegetarian restaurant Govinda. Helena Frith powell had begun her career as a model and apparel designer, but she eventually became a very successful journalist and one of the most sought-after columnists in the world. Powell has written nine books, celebrating women, their desires, aspirations, fears and insecurities. Is their any science to live agelessly or is it an art..????? Author and columnist Helena Frith Powell shares what she learn from French women about looking youthful. There's a burgeoning trend towards living agelessly. french women are notoriously secretive when it comes to style and beauty. but she did manage to get some of their best kept secrets of how to age well. "Women do not need to be graceless just because they are old." Here's what she has to say on beauty, age and looking fabulous. 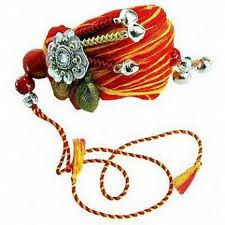 Rakshabandhan is the unique and very sweet Ritual Celebrates by Indians only. Many says that god cannot be every where this is the reason god sends mother to take care and mother cannot stay forever this is the reason god sends brother who always protect his sister and loves her. This relation is very sweet and adorable. The brother sister relation is the only relation which is celebrated in the Hindu religion from very long time.Lets celebrate this precious occasion together with some Rakhi sms and rakhi wallpapers.